Movies Like The Hunger Games: Battle To The Death '+g+"
Like watching adventure movies like The Hunger Games (2012)? then check our list of recommendations for movies similar to The Hunger Games (2012). 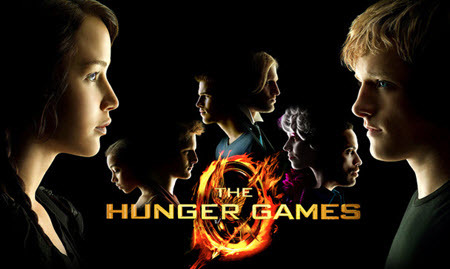 The movie is based on the best-selling novel of the same name by Suzanne Collins. The story follows 16 year old Katniss Everdeen (Jennifer Lawrence) who volunteers for her sister's place in 'The Hunger Games' a nationally televised fight to the death contest where the youth from twelve districts of Panem compete against each other until there is only one remaining. The movies most like The Hunger Games is the sequel The Hunger Games: Catching Fire I did not include it in the list so see it if you haven’t already and don't forget to mention if we miss any other movies similar to The Hunger Games as we keep on updating this list. Battle Royale is a Japanese action thriller based on the novel of the same name by Koushun Takami. The story follows a group of Junior High students who are sent to a remote island and forced to kill each other by the government until one lives. The Running Man is a science fiction action movie based on 1982 novel of the same name by Stephen King. The film follows Ben Richards (Arnold Schwarzenegger) a police pilot wrongly convicted for murder is given a chance of freedom if he take participates in the 'The Running Man' an gladiator style fight to death television game show. Gamer is a 2009 science fiction action thriller starring Gerard Butler as a soldier turned convict forced to participant in an modern day gladiator themed online game called "Slayers". The Condemned is a 2007 action movie directed by Scott Wiper. The movie revolves around ten death row prisoner who are brought to a desolate island and given a chance at freedom to the last man standing. The Most Dangerous Game (1932),....if you can think of more then don't forget to mention it in comments.